Please select from our range of designs, or choose custom and send us through your instructions. We can change the colours of any of our designs to match your team colours, just advise us in the notes section below. 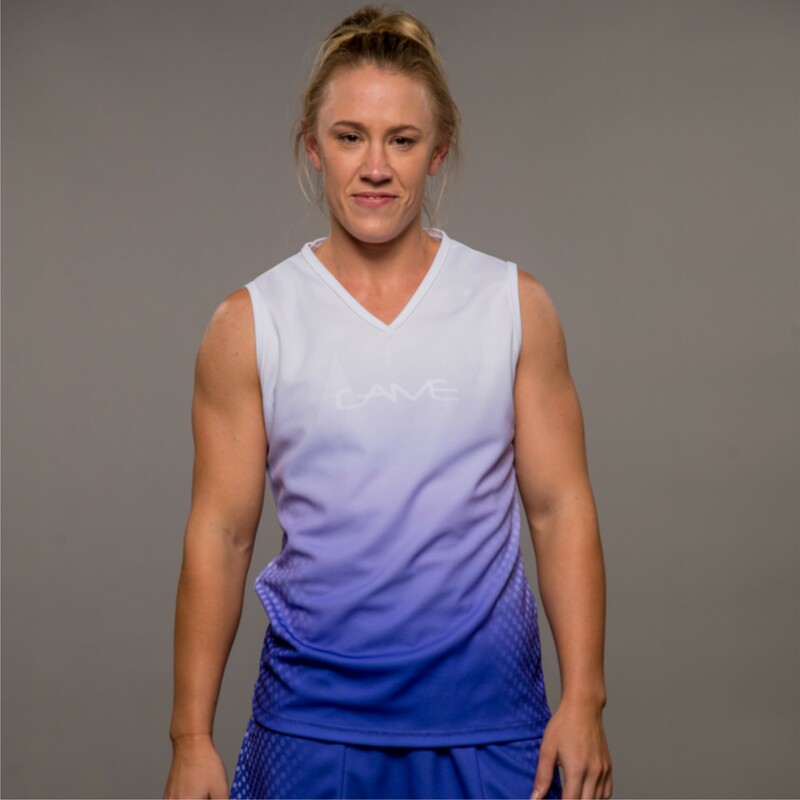 Specifically designed for the female figure, the Ladies softball V-Neck singlet has been cut with curved side seams to fit the female shape. 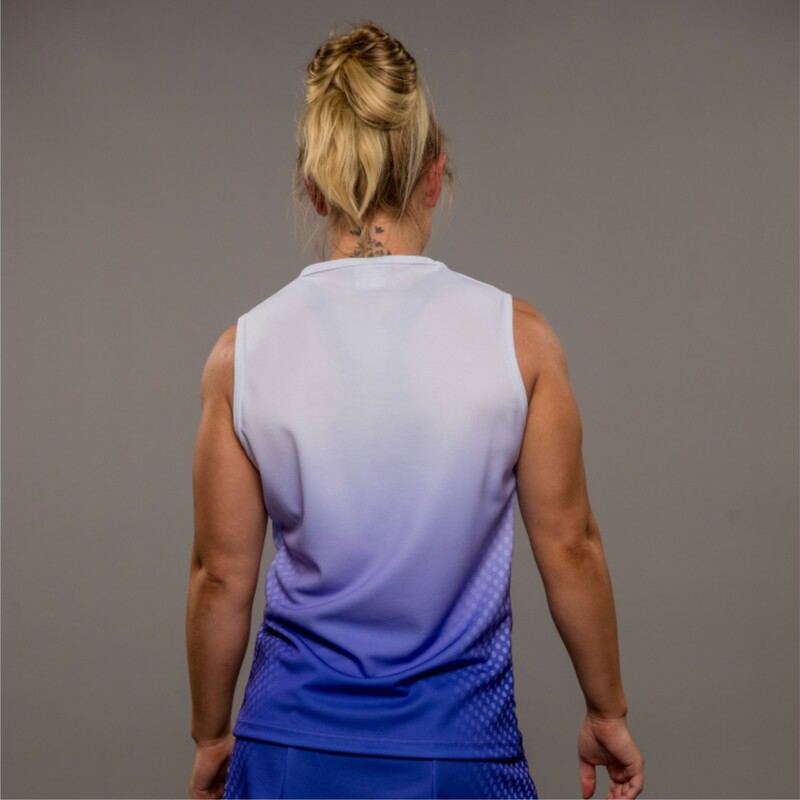 Compared to our other ladies’ singlets, the backs are wider covering the shoulder blades. Necklines finishes with a neat Pinch V.
A decent choice for Netball players & umpires, Tennis, Ladies AFL or Roller Derby. In mixed environments, we recommend male counterparts wear the Tank singlet to pair with their female players. What are your turnaround times? Our standard turnaround time is 6 weeks. This is from the date you place your order. You can order before finalising your design. Do you have sizing kits available? Yes, we have sizing kits for all our common garments. We are more than happy to lend these out to you for sign-on days or team tryouts. Sizing kits can be picked up from our office, or posted out for your convenience. How do you make sports clothing? Our design and manufacturing process is all done in Brendale, just north of Brisbane, Queensland, Australia. You can read about our design process here. Do you make other garments not on your site? Yes, please get in touch to discuss what garment you are after. Can you match my existing uniform? Yes, we can colour match to most pre-existing uniforms. We are unable to colour match any garments unless we receive a sample from you. Please get in touch if you would like to discuss uniform replication in further detail.